SuperSU is a famous root tool for almost all android devices. It’s an amazing root tool with a high % of success, thanks to chainfire for provided this useful and easy tool. We provide you here the simplest and concise procedure to install SuperSU through Recovery on any Android Device and get root access. We will show a step by step tutorial for flashing SuperSU on your android device. You just have TWRP recovery on your device and then follow the below steps. it’s an easy and simple guide, however, proceed carefully. Also, it may wipe all your data on the device, so backup for all the important material on the device is recommended. Keep in mind, that getting root access is unofficial and in result you will lose device’s warranty. However, you can then restore it by flashing stock firmware anytime. Root also, give you full control of the device to perform some unofficial operation and enhance the device performance. You will be able to flash custom ROM, remove bloatware/ system built in apps, install custom recoveries and overclock/ under clock the processor of the device. Note: This guide would be useful only if you need to Install SuperSU through TWRP Recovery. Don’t follow on any other recovery. Also, you may be losing the warranty of the device. So flash and proceed only in your own risk, we would not be blamed if anything goes wrong with you or your device. 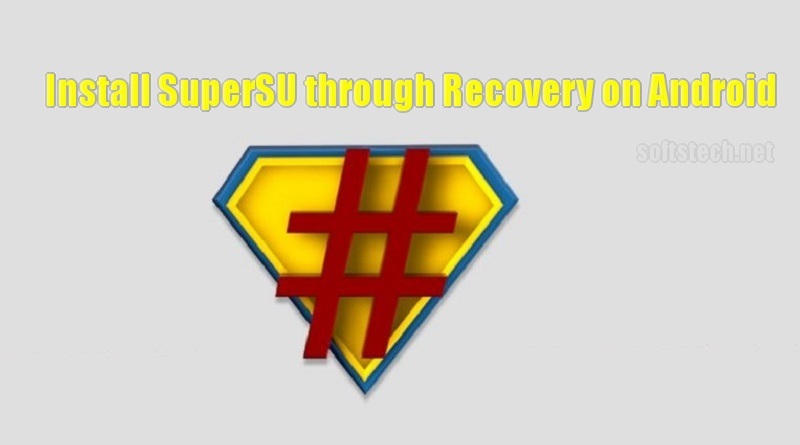 Install SuperSU through TWRP Recovery and Root Android Devices. Backup all the important data on the device, like SMS, Contacts, Gallery items, Apps data. Also, make sure that your device is sufficiently charged before processing. Download SuperSU package zip file on your PC, if you already downloaded then go to steps below. ∇ SuperSU 2.78 version Latest. or SuperSU 2.68 version Marshmallow. Steps to Install SuperSU through Recovery. Download SuperSU zip file, then Move it to the device internal storage. If you already downloaded, then skip download, just copy to device. Unplug the and turn off the device after copying the SuperUS zip file. Then boot your device in Recovery Mode, via button combination or boot app. Now at recovery tap Install → find and select SuperSU → Then Swipe to confirm. Finally, on recovery main menu tap “Reboot” to boot the system normally. In conclusion, the process to Install SuperSU through Recovery on any Android Device got successful. Now you have SuperUS app and the device is fully rooted. You can contact us for further help anytime.